Octagon Notes: Do you really want directions for the journey? Let’s begin with a question. Why is there something rather than nothing? What is the meaning of life? Some of us may smile at these questions. We may have long ago given up pondering them. But do we remember asking them? Some of us may not smile at all but feel these questions to be immediate, real, and very urgent and disturbing. Some very contemporary images come to mind as I think about this gospel and the concept of possessions, of what we now call ‘stuff’. I invite you to think of some images that you will likely have encountered through the TV. 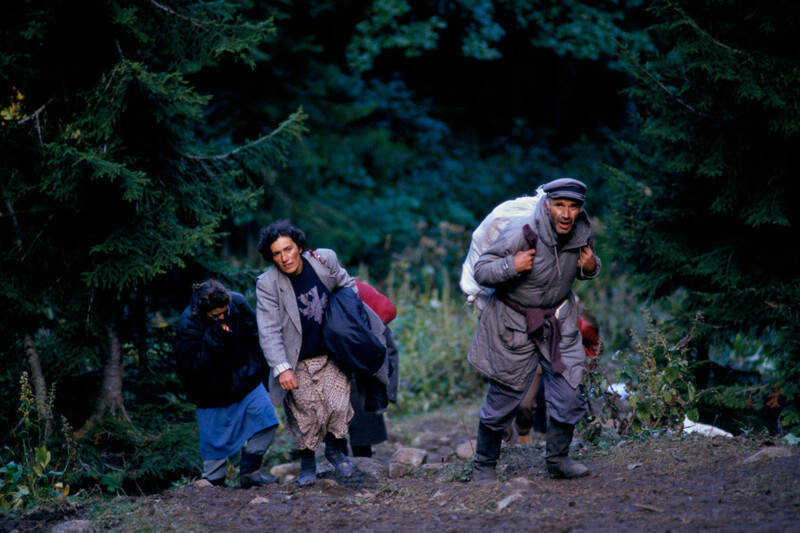 The first is the image of refugees, an image that is so vivid now - of refugees fleeing the war in Syria. In an emergency you take only what you can carry, or load in the car or on a handcart. But in flight from the war the going is unpredictable and if car or handcart breaks down, they have to be left with everything else. Then as you travel, the belongings you carry have to be shed: anything too heavy to carry; anything too cumbersome; they are dropped by the way. To think about this is to test the concept of possessions and what matters. The other image, also made very current by TV programs, is that of the hoarder: the person whose home and whose life are overwhelmed by stuff. Today we understand it as a medical condition – as a kind of anxiety disorder. Nothing is thrown away or tidied. The home becomes a total mess, a prison, a nightmare. 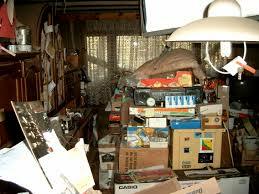 Hoarders are trapped by possessions, though they usually may not recognise it that way. Thinking about this image also tests how we think about possessions. You may notice that the gospel begins by telling us that Jesus was just ‘setting out on a journey’ when the young man runs up to him and asks his question about the meaning of life. Pause here for a moment and think of the images that the idea of the journey generates: walking the Camino De Santiago; Columbus setting sail to discover America; Dante’s Divine Comedy; Bunyan’s pilgrim carrying his burden; Otago’s first settlers aboard the John Wickliffe and the Philip Laing in 1848; any student with backpack and passport heading overseas on the big OE. The possibilities of the image of the journey are endless. Always the journey is about life itself: discovery and change; about us becoming who we are created to be. So in the gospel story the young man approaches Jesus as the guide he needs, and he asks for instruction: which he gets. Like most of us who ask advice, he doesn't like what he hears. The idea of disposing of his possessions does not appeal at all. We may catch a glimpse of the consequences. In the Tate Gallery is a painting on this subject by Frederick Watts, called ‘For he had great possessions’ (1894). You could Google this when you get home and study it. The body language of the painting tells it all. We barely see a half-profile of the young man: his head is hanging, his shoulders are slumped and he is wearing a luxurious garment made from some costly fabric. He has asked the great question about life and the great journey it is, but he can’t quite bring himself to do what is needed. We look at this painting and there is an overwhelming tragic sense of an opportunity lost. Which image brings us back to why we gather in this cathedral this morning: we are a people on a journey – the journey of faith. Our journey seems always to start with the big question – the ‘meaning of life’ question and sooner or later we have to check what gets in our way. The issues of money and possessions are always a good reality check. If we are tight, selfish, grasping – anything of that sort – we have been warned and something is amiss. But behind this is a deeper issue: are we still asking the ultimate question about the meaning of all this; why are we here and whom are we becoming? Are we still working on the journey and what do we need to shed on our way?